It’s tough to write my blog when my website is down…for the second time in two weeks. Both times had nothing to do with me and everything to do with the website hosting service, which is so monumentally incompetent that I’m speechless. I learned a lesson during this incident. A big important lesson. …And as I (and the kind folks at WMG) rebuild, we will be doing so with an eye to a 2018 website, not a 2010 website. We’ll make information easy to find. The weekly features will remain as well. It’s going to take a bit of time, but it was something I needed to do. Bluehost forced me into it. They also taught me a valuable lesson. Every few years, I need to re-evaluate every service that I hire to help with my business, not just to see if the service is doing well, but also to make sure the service itself is the same company that I hired a few years before. In between, Rusch explains how she learned the lesson the hard way. (2) ABOUT GRIMDARK. Paul Weimer analyzes “The Fugue of Fantasy and the Grimdark Interregnum” at Nerds of a Feather. …In the history of epic fantasy, following this analogy and paradigm, there has always been a voice in a minor key, a strain of fantasy with antiheroes, shades of dark grey and darkness, worlds where hope and optimism are not valued or are even punished. Violence is the name of the game, dystopic amorality the norm and the worlds are often the successor states or the ruins of another, brighter time. The classical Western European model of the first few centuries after Rome fell is the historical ur-model, and indeed, many novels use thinly disguised or even explicitly set in that time period. The latest iteration of this minor-key fantasy, which had in recent years become a dominant theme in epic fantasy, is what we call Grimdark…. (3) EATING THE FANTASTIC. 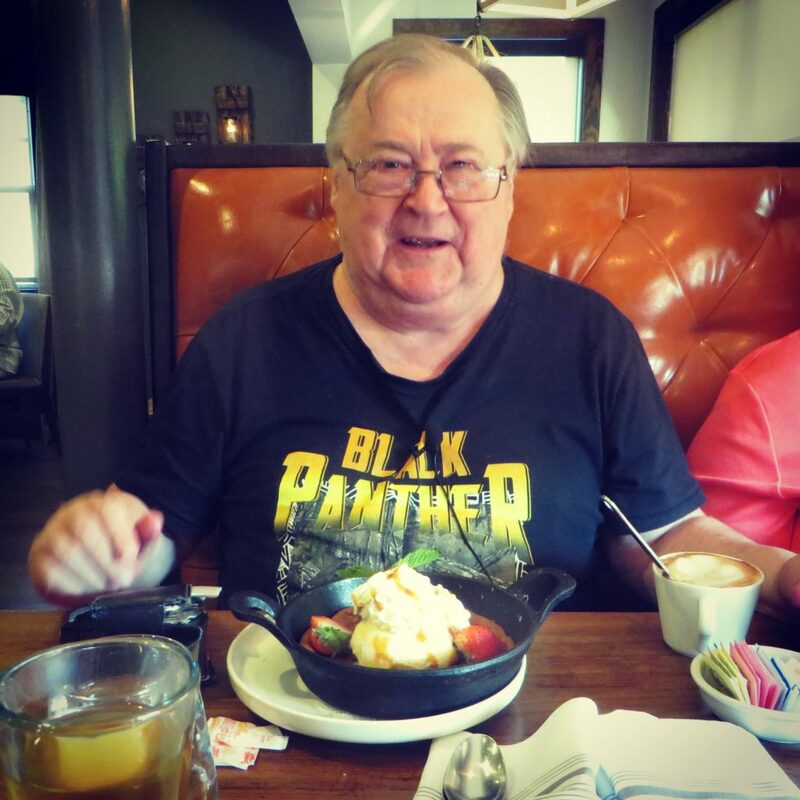 Scott Edelman invites you to share a steak dinner with legendary comics creator Don McGregor in episode 76 of the Eating the Fantastic podcast. I reached out to Dauntless Don — we all had nicknames back them; he was Dauntless, I was Sparkling — and said, hey, how about if when I’m on the way back to the airport at the end of Readercon, I swoop down, take you out for dinner, and we chew over the old times. And that’s exactly what we did, at the Safehouse in East Greenwich, Rhode Island, along with Dauntless Don’s wife, the Marvelous Marsha, whose voice you’ll occasionally hear in the background of this episode. Don started out his career in comics by writing some of the best horror stories to appear in the pages of Creepy and Eerie — and I remember well reading the first of them in the early ’70s. When he moved on to Marvel Comics, he did groundbreaking work with such characters as Black Panther, Killraven, and Luke Cage. In fact, his two-year “Panther’s Rage” arc was ranked as the third most important Marvel Comics storyline of the ’70s by Comics Bulletin. In 2015, he was awarded the Bill Finger Award for Excellence in Comic Book Writing at San Diego Comic-Con International. We discussed how meeting Jim Steranko led to him selling his first comics story, why when he was 13 years old, he wanted to be Efrem Zimbalist Jr., what he learned from Naked City creator Stirling Silliphant, how his first meeting with future Black Panther artist Billy Graham could have been disastrous, why the comics he wrote in the ’70s wouldn’t have been able to exist two years later, the reasons Archie Goodwin was such a great editor, how he convinced Stan Lee to allow the first interracial kiss in mainstream comics, what life lessons he took from Westerns in general and Hopalong Cassidy in particular, why he almost stopped writing Lady Rawhide, and much more. (4) ALIEN ENCOUNTER NUMBER CRUNCHING. James Davis Nicoll discourages the idea that we’ll be meeting aliens in reality: “Doing the Math: Aliens and Advanced Tech in Science Fiction”. After reading Liu Cixin’s Three-Body Problem, maybe that’s a relief? Time for some large, round numbers…. (5) EXCEEDING THE READ LIMIT. Walter Mosley declares, “Enough with the Victors Writing History”, at LitHub. …I have studied the great powers that vie to control what they want us to believe about the past; but I don’t identify with them. I identify with the librarians who, when asked by GW Bush to report on their visitors’ reading habits, held up a hand and said, “First Amendment.” I identify with outsider artists and labor organizers and autodidacts who either refuse to or are unable to believe in the lies foisted upon us by the conquerors. I identify with the belief that there exists a history out there just beyond the reach of our powers of cognition. And I believe that a lie is a lie; that if you coexist with a population that helped to build your house, your culture, your music, a population that helped to raise your children and fine-tune your language, and you deny that culture’s impact on who you are… then your knowledge of history will fail you and the past will devour you and your children. (7) A MARTIAN ODYSSEY. Chabeli Herrera in the Orlando Sentinel reports that the Kennedy Space Center has opened up the Astronaut Training Experience, which simulates a trip to Mars by having visitors “strap onto a microgravity simulator: and then carry out a repair on the space station. There’s also a simulation of Mars Base 1, where visitors can “work together to solve various technical problems” including “programming a team of robots to clean dust off the base’s solar panels.” — “Like real astronaut training, Kennedy Space Center’s new simulators let you work in zero gravity, drive Mars rover”. Like a scene from “The Martian,” the botany lab in Mars Base 1 at the Kennedy Space Center Visitor Complex grows vegetables under the glow of fluorescent purple lights. But it’s not all potatoes like in the 2015 film. This room can grow anything from cress to tomatoes, and all of the crops are planted and harvested by guests playing astronaut for the day. The botany room is one of several new features at Kennedy Space Center’s Astronaut Training Experience Center, a two-year project designed to simulate astronaut training and work on Mars. The attraction opened in February, but officials gathered Thursday to officially kick off the opening of the ATX with representatives from its sponsor, aerospace company Lockheed Martin. Ms. Shelley played Madame Morrible, a college official who pairs Glinda and Elphaba as roommates. She later helps arrange a series of events that push Elphaba toward wickedness. September 7, 1958 — Queen of Outer Space premiered. Born September 7 – Karen Frenkel, 63. Author, Robots: Machines in Man’s Image (1985) with Isaac Asimov. Available on her website. A Hollywood in-joke you’ll all get – Long Story Short. (13) HIGH CONCEPT. 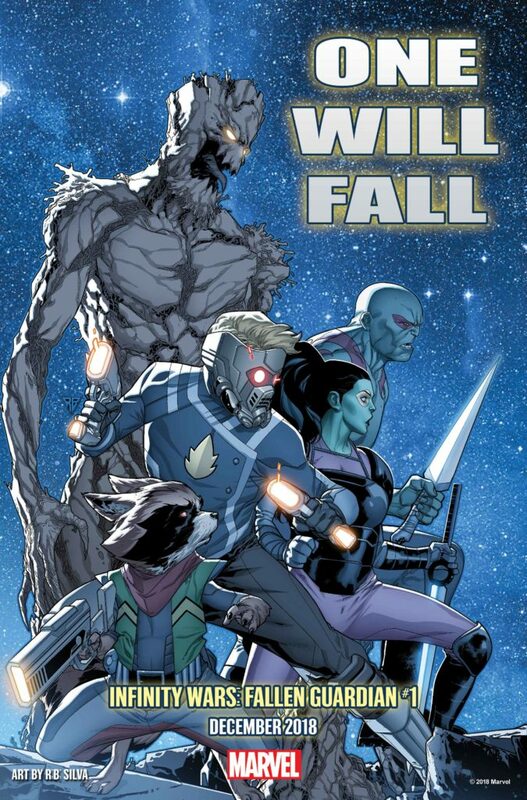 This December in Infinity Wars: Fallen Guardian #1. (15) ONE RING TO RULE THEM ALL. [Item by Mike Kennedy.] 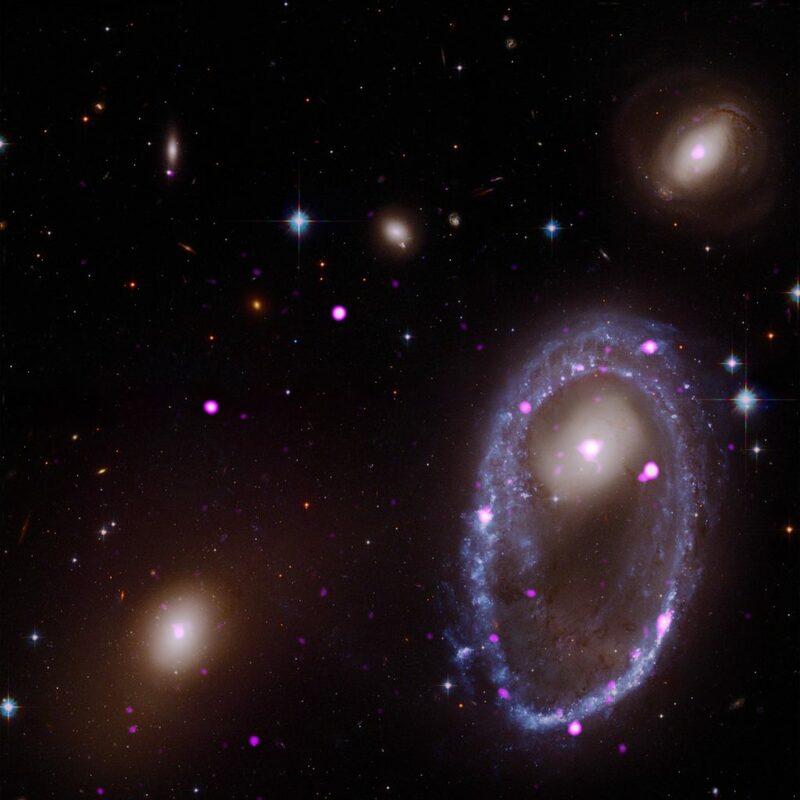 Data from the Chandra X-ray telescope has been combined with optical data to image a distant galaxy that seems to be encircled by black holes and/or neutron stars (International Business Times: “Ring Made Of Black Holes? Massive Cosmic Structure Found Encircling Distant Galaxy”). Galaxy AM 0644-741 was involved in a recent (astronomically speaking) collision with another galaxy that boosted star formation. The most massive of those stars had a very short life and have since gone supernova, leaving behind black holes and neutron stars. Out of the newborn baby stars, the most massive ones probably led a short life, spanning on the scale of millions of years. They lost their nuclear fuel with time and exploded as supernovae, where the majority of the stellar material is blown away, leaving black holes 5 to 20 times heavier than the sun or dense neutron stars carrying approximately same mass as the sun. This indicates the ring is either made from stellar-mass black holes or neutron stars that are accompanied by close companion stars. The dense objects are drawing gas from their stellar counterparts, forming a super-hot spinning disk which acts as a detectable X-ray source for Chandra. Though the researchers behind the discovery — a team from INAF-Osservatorio Astronomico di Brera, Italy — couldn’t confirm the identity of individual sources making up the ring, they believe this could either be a case of all black holes or all neutron stars, or a mix of both. The NASA website (“Cosmic Collision Forges Galactic One Ring—in X-rays”) that AM 0644-741 is only one of several galaxies with such X-ray rings and adds a link to the pre-print article on the arXiv service. (16) PULPFEST DATES IN 2019. The dates for PulpFest 2019 are the same weekend at the Dublin 2019 Worldcon but that may not represent an actual conflict for more than a few fans. PulpFest 2019 will take place from Thursday, August 15, through Sunday, August 18. We’ll be returning to the DoubleTree by Hilton Hotel Pittsburgh – Cranberry, just north of Pennsylvania’s “Steel City.” PulpFest will be joined by FarmerCon. Hopefully, they’re not too hung over from this year’s Philip José Farmer centennial. Start making your plans for the 48th convening of PulpFest and its celebration of mystery, adventure, science fiction, and more. Join us for “Children of the Pulps and Other Stories” at “Summer’s Great Pulp Con.” Please bring your friends! (17) ALMOST. James Davis Nicoll credits John Varley for showing us “How to Make a Near-Utopia Interesting: John Varley’s Eight World Stories” at Tor.com. Peace and prosperity sound like they’re good things, but perhaps not for authors. What kind of plots can be imagined if the standard plot drivers are off the table? How does one tell stories in a setting that, while not a utopia, can see utopia at a distance ? The premise seems unpromising, but thirteen stories and a novel argue that one can write absorbing narratives in just such a setting. So how did Varley square this particular circle? (18) AN OSCAR ON HOLD. About that new “popular film” Oscar? Like the Magic Eight-Ball says – “Ask again later” — “Oscars postpone plans for new popular film category”. …The award, which could have recognised films popular with audiences but not critics, was only announced last month. In a statement, the Academy’s CEO said she had “recognised the need for further discussion” with its members about the proposal first. …In previous years, films which have done well at the box office with audiences – including Mamma Mia, Avatar and the Mission Impossible franchise – have been snubbed by the Academy. The Oscars’ organisers did not elaborate in their August announcement how eligibility for the new category would have been established. Some Hollywood critics suggested the new category’s “popular” tag was confusing and could risk creating a two-tier system among films. It was feared films praised by critics and audiences alike, such as Dunkirk and Get Out, would risk being relegated to the new category rather than standing a chance in the prestigious Best Film award category. (19) MORE RUBY SLIPPER NEWS. [Item by Mike Kennedy.] Smithsonian has a little more info, including how the recovered shoes were authenticated, as well as more info about the ownership of this pair and the others pairs still extant: “After 13-Year Chase, F.B.I. Nabs Pair of Dorothy’s Ruby Slippers”. …The slippers, it turns out, were not actually owned by the Judy Garland Museum. Instead, they were property of a collector named Michael Shaw, who purchased them in 1970 for a mere $2,000, reports Jennifer Medina for The New York Times. Shaw, who also owns one of Dorothy’s dresses, a witch’s hat and a munchkin outfit from the 1939 movie, was in the habit of loaning out the slippers to museums around the country, donating his display fee to children’s charities. The slippers were on display as part of a 10-week traveling tour when they were stolen on the night of August 28. According to a press release from the Grand Rapids police, a thief or thieves broke into the museum’s back door and smashed open the plexiglass case. There were no cameras on the premises and the museum’s alarm failed to sound. …After the shoes were apprehended, the F.B.I. brought them to the Smithsonian, which owns another pair of slippers used in the filming, to confirm their ruby slippers were the real deal. For the last two years, Smithsonian’s National Museum of American History has been analyzing and conserving a different pair of slippers donated to the museum in the late 1970s as part of a Kickstarter campaign. The F.B.I. brought the purloined pair to objects conservator Dawn Wallace for a look. Wallace says two other details cinched the case: First, it’s difficult to fake 80 years of aging on a pair of shoes. Second, the pair in the Smithsonian’s collection is actually a mismatched pair of ruby slippers, with the left sized “5C” and the right sized “5BC.” The pair recovered by the F.B.I. turned out to be the mates of the museum’s shoes (which are set to go back on display in a climate-controlled case on October 19)…. Since Mr. Shaw had received an $800,000 insurance settlement quite some time ago, the shoes belong to the insurance company now. (20) FOYLES SOLD:BBC reports “Waterstones buys Foyles to defend bookshops against Amazon” – the Foyles Charing Cross Road location hosted this year’s Clarke Award announcement. Waterstones is buying the 115 year-old family-owned chain Foyles, saying the deal will help to “champion” real bookshops in the face of online rivals. The sale includes Foyles’ well-known Charing Cross Road store in central London, which was relocated to larger premises in 2014. Waterstones said the deal would help booksellers fight back against Amazon’s “siren call”.